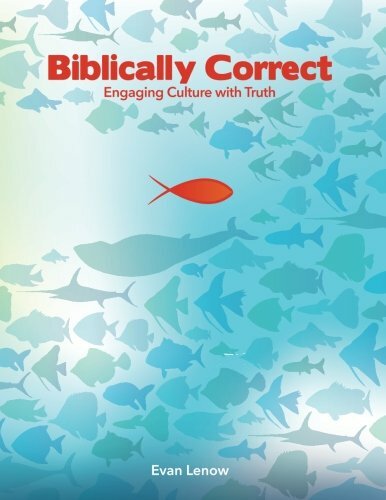 I have been reading a book that was recommended to me on a number of occasions because of my interest in marriage, family, and culture. The book is Coming Apart: The State of White America, 1960-2010 by Charles Murray. 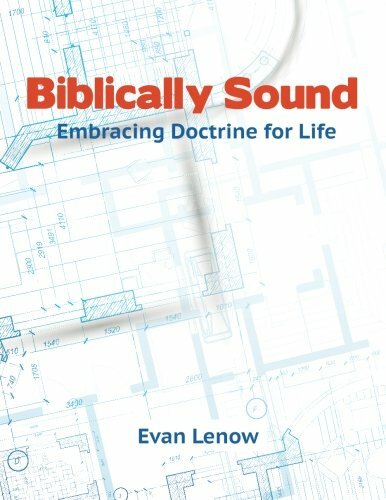 I am about two-thirds of the way through the book, but I have come across a few interesting nuggets that I would like to share. Without going into the entire premise of the book, I need to set the stage. Murray tracks the changes in “White America” (excluding all minorities) to see if such changes reflect similar changes in the minority populations. 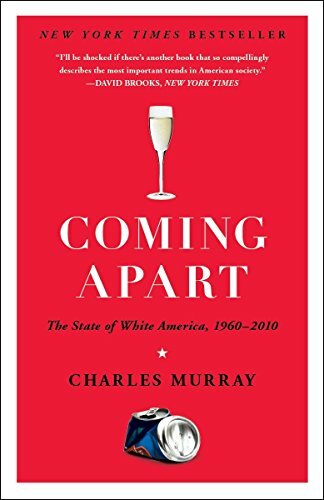 While much sociological research typically compares minority populations to whites with the understanding that a white majority is a fairly static baseline, Murray seeks to demonstrate the vast changes in white America that have taken place in the last 50 years. It’s even worse than it looks. The pessimistic title of this section springs from my belief that families with children are the core around which American communities must be organized–must, because families with children have always been, and still are, the engine that makes American communities work–and from my conclusion that the family in Fishtown [bottom 30% in education, bottom 50% in income, typically blue-collar or low-skill white collar jobs, working class] is approaching a point of no return. In 1960, 81 percent of Fishtown households had someone working at least 40 hours per week, with Belmont [upper 20% in education, affluent, white-collar jobs, upper-middle class] at 90percent. by 2008, Belmont had barely changed at all, at 87 percent, while Fishtown had dropped to 60 percent. And that was before the 2008 recession began. As of March 2010, Belmont was still at 87 percent. Fishtown was down to 53 percent. I am not arguing that people of integrity never declare bankruptcy. Rather, I am arguing that there are always temptations to get into debt and always patches in life where finances become dicey. In a nation where integrity is strong, the effects of temptations and of rough patches are damped down. That trendline . . . showing a quadrupling of personal bankruptcies over a period that included one of the most prosperous decades in American history, looks suspiciously like a decline in personal integrity. Many Americans still feel that they are supposed to be religious, and so they tend to tell interviewers that they profess a religion even if they haven’t attended a worship service for years. They also tend to tell interviewers that they attend worship services more often than they actually do. In the GSS, about a third of all whites who say they profess a religion also acknowledge that they attend no more than once a year. It seems reasonable to assume that, for practical purposes, these people are as little involved in religious activity as those who profess no religion. . . . If we think in terms of disengagement from religion, Fishtown led the way, and the divergence was significant. In the first half of the 1970s, about 10 percentage points separated Belmont from Fishtown. Over the next three decades, disengagement increased in Belmont to 41 percent in the last half of the 2000s. In Fishtown, the religiously disengaged became a majority amounting to 59 percent. So far, Murray’s book is an interesting read. The impact of these societal trends on the church is also an intriguing question. Do you think they are having an impact? ‹ PreviousPolygamy: The Next Marriage Battle?